One of the notorious Bali Nine drug smugglers has died after spending 13 years in an Indonesian prison. The Indonesian Corrections Office has confirmed Vietnamese Australian Tan Duc Thanh Nguyen, 34, died in hospital in East Java. Nguyen, one of the seven remaining jailed members of the drug smuggling ring, was serving a life sentence in an Indonesian prison. According to reports, the 34-year-old from Brisbane died in recent weeks following a battle believed to be with terminal cancer. 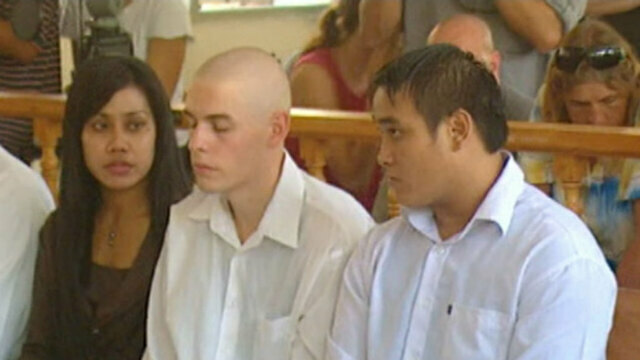 Nguyen was sentenced to death in 2006 after being found guilty of attempting to smuggle eight kilograms of hero in through Bali a year earlier. Bali Nin e member Tan Duc Thanh Nguyen had died. (Photo: AAP). In messages from prison Nguyen reportedly expressed deep regret for the hurt he had caused his family adding "there's no code of honour among drug dealers". A spokeswoman for the Department of Foreign Affairs and Trade confirmed to nine.com.au that they were providing support to an Australian man who died in Indonesia from a "terminal illness".